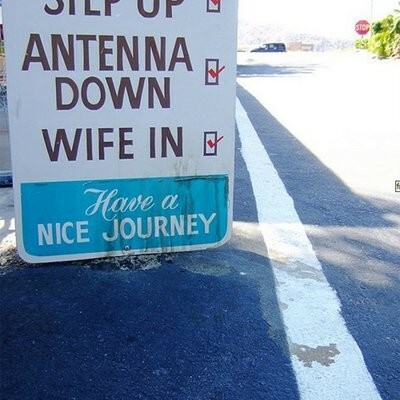 Camping or tailgating soon? 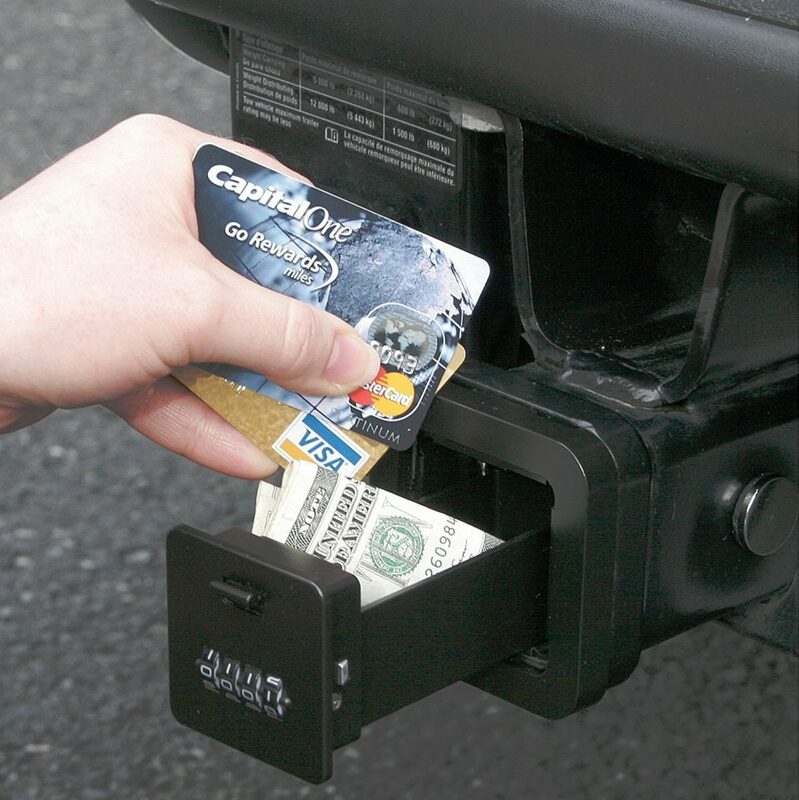 Check out these awesome accessories that you can get for your vehicle's hitch receiver. You’d be surprised by what kinds of things are available for your vehicle’s tow hitch receiver. 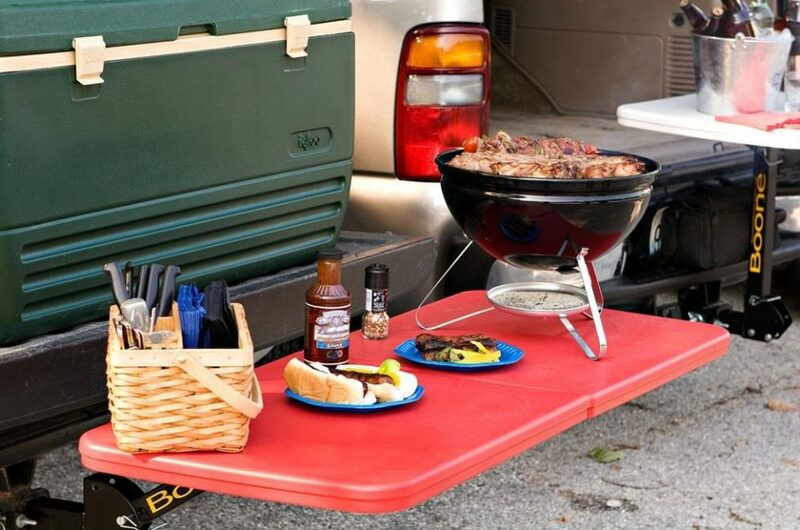 These are just eight of our favorite items for camping, tailgating, or having a backyard BBQ. 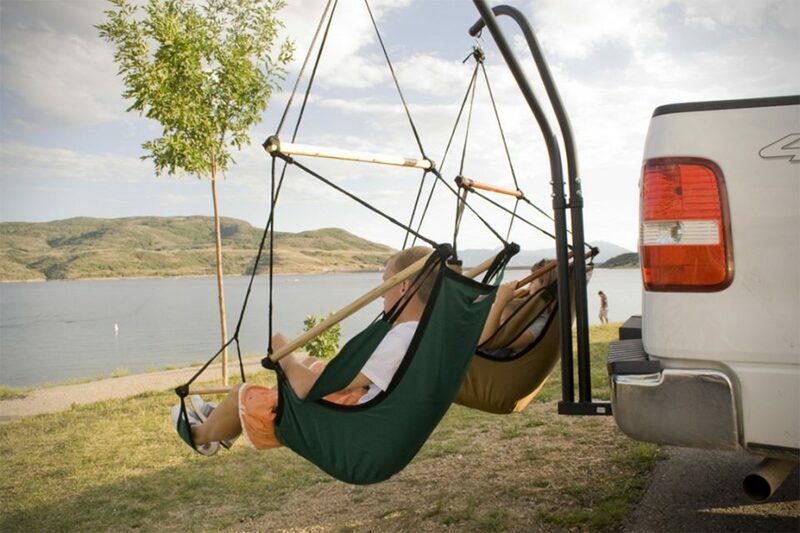 Skip the folding chairs and take a step up in comfort with these Hammock Seats. They can easily be attached to any 2-inch hitch receiver and bear up to 250 pounds. 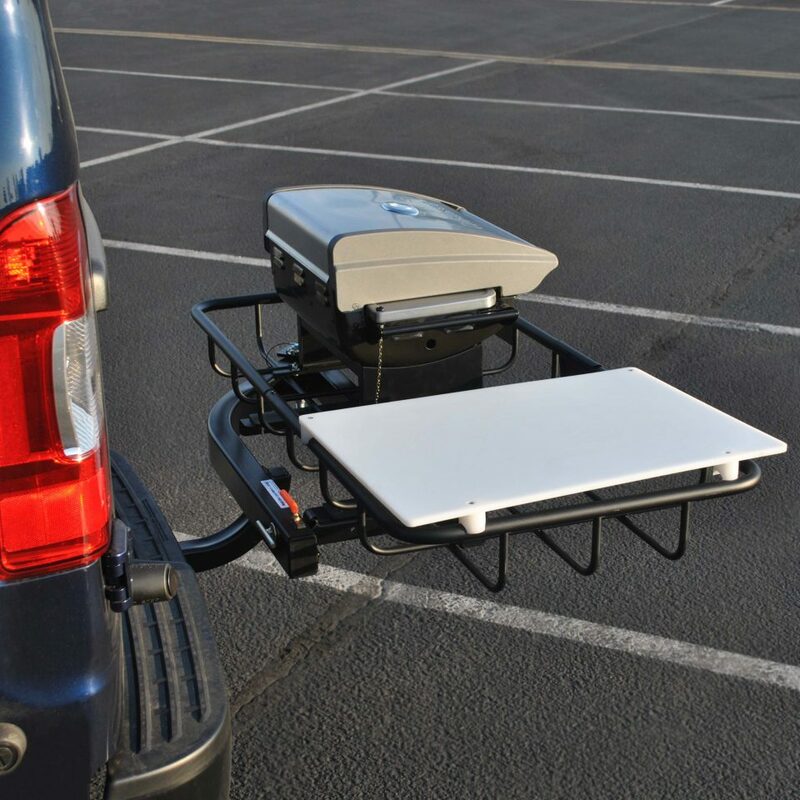 Plus, the makers Hammacka kept all of our tailgating and camping needs in mind: the seats come with an integrated pillow, adjustable foot rest, as well as a cup holder. You can find the hitch stand and seats offered as a combo on Amazon here. These aren’t just grills, they’re entire cooking stations. Yes, they have an excellent Cuisinart grill included, but they’re also equipped with a cutting board and cargo rack for storage. 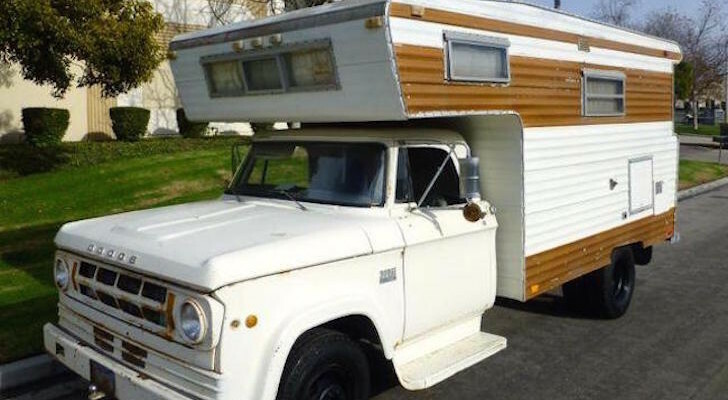 All of the features can be removed and used in your home when you’re not camping as well. The stations are built on a swing-away frame, so you can still get in the back of your vehicle if needed. 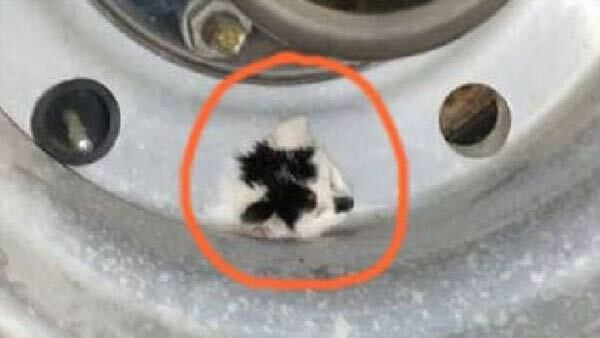 They can be attached to 1.25 or 2-inch hitch receivers (which includes most cars, Jeeps, SUVs, and RVs). For more info, check out the manufacturer Stowaway’s website. These TV stands are every tailgater’s dream. 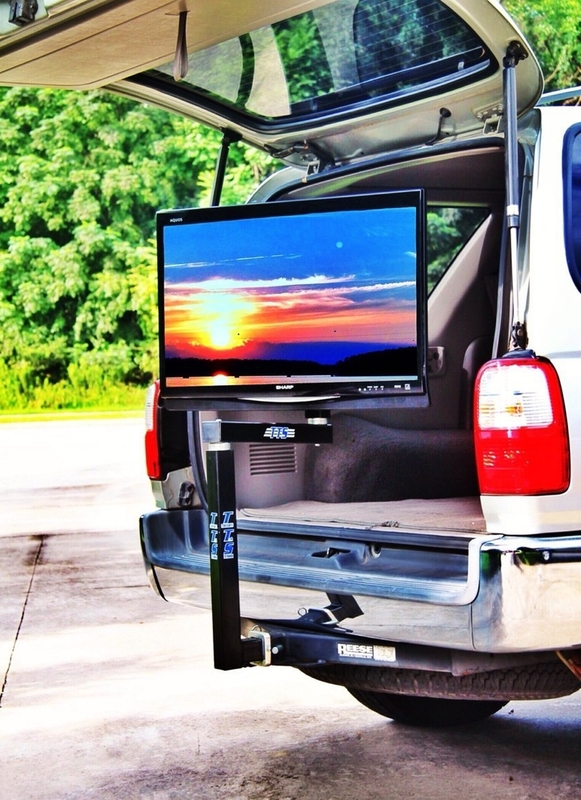 They’re designed to fit on any 2-inch hitch receiver and hold a 42-inch flatscreen (or smaller). The stands can also be rotated 360 degrees, so you won’t miss the game whether you’re in or out of your vehicle. 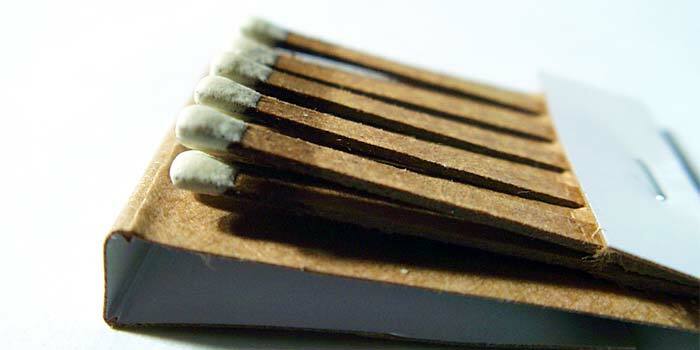 It only takes a few minutes to set them up and doesn’t require any special tools. 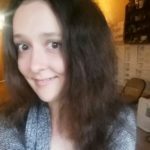 You can find them online here. We can always use extra space to set down food, drinks, plates, and condiments. These handy tables can be attached to any 2-inch hitch receiver, adjusted in height, and folded down when they’re not in use. Read more about them on their website. 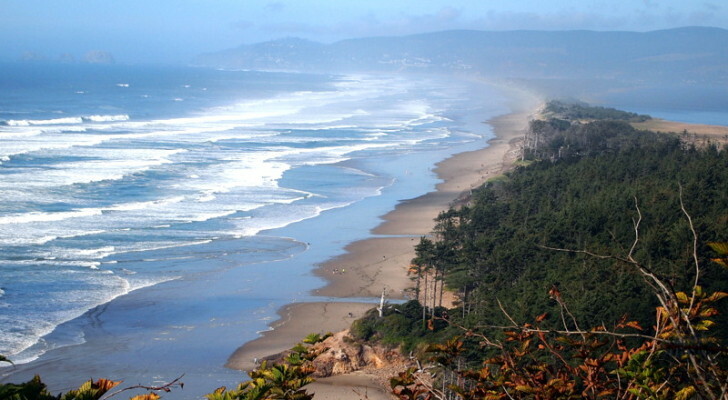 Maybe you’re going hiking and don’t want to risk your keys and money falling out of your pockets. Or maybe you need a safe place to hide your vehicle’s spare key. Whatever you’re storing, these HitchSafes will keep it secure. The mini vaults are concealed and kept in great condition behind their own dust covers. To use them, you just need to pop off the cover and enter your own pre-set four-digit combo code. You can get the safes for about $50 on Amazon. 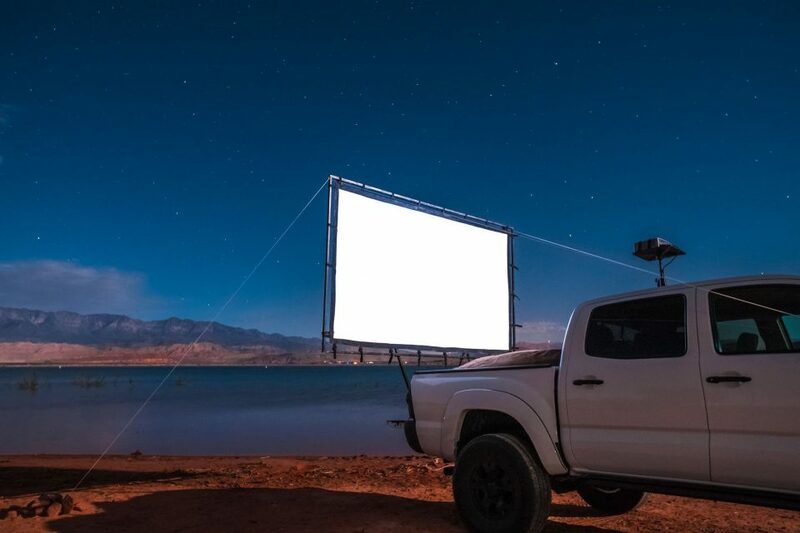 Drive-in theaters have been slowly fading away over the years, but these Hitch Theaters offer a unique modern twist on the classic entertainment. 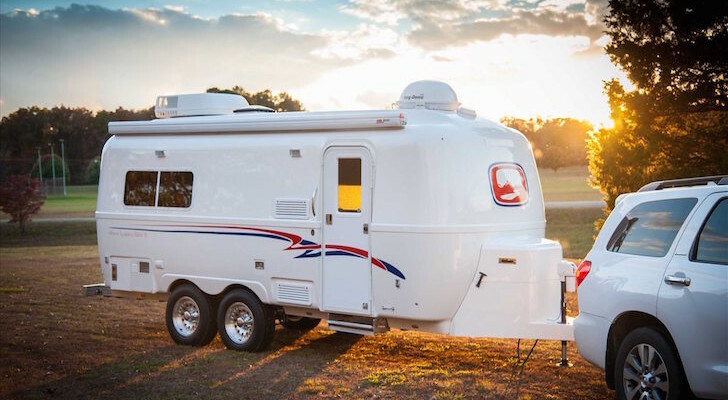 The company was first started as a Kickstarter, and is now in the process of producing the portable cinemas for tow vehicles. For the latest updates, like them on Facebook. 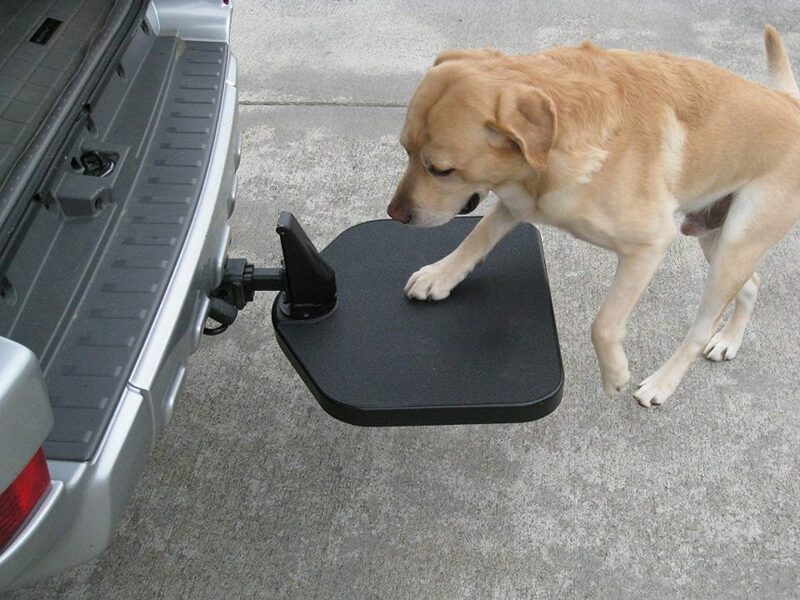 These hitch steps are useful for pets and their owners alike. In addition to making it easier for your dog to get in the back of your vehicle, the platforms can be used as a seat while you’re getting ready to head out for a hike. 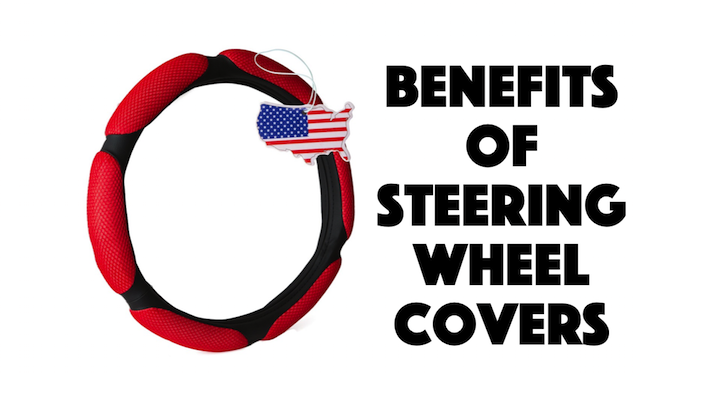 They’re able to hold up to 400 pounds, and when not in use, can be swiveled under your vehicle out of the way. The steps fit 1.25 and 2-inch hitch receivers, and can be adjusted up to 6 inches in height. Find them on Amazon. 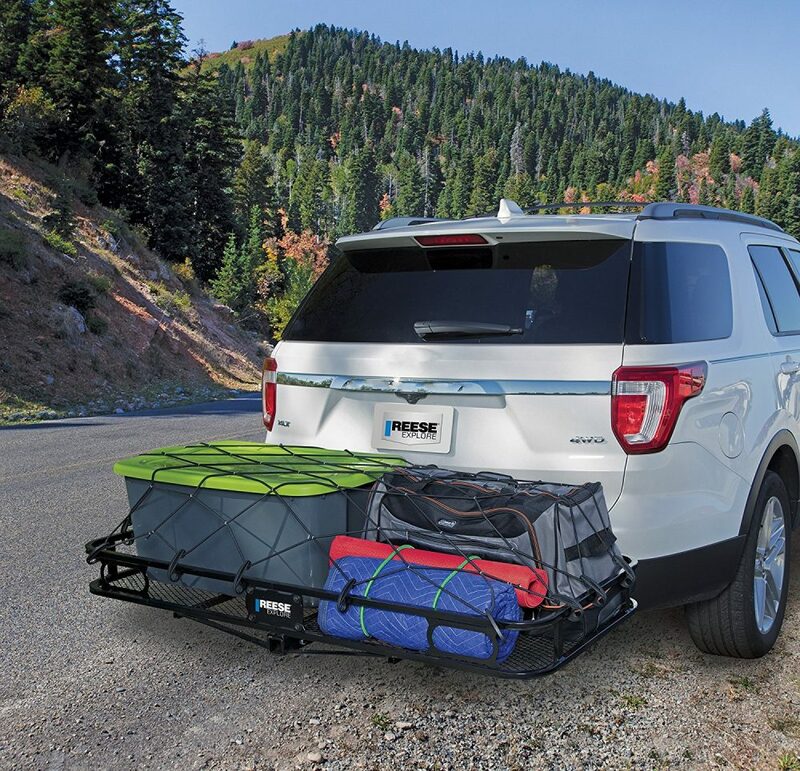 Cargo racks can hold everything from bikes to hiking gear. These carriers hold up to 500 lbs and have 5.5-inch side rails to keep everything secure while in transit. 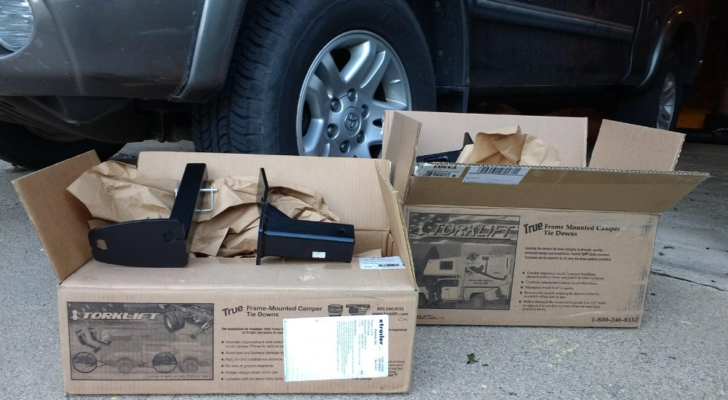 They fit most 2″ hitch receivers and have a large 60 in. x 24 in. platform.